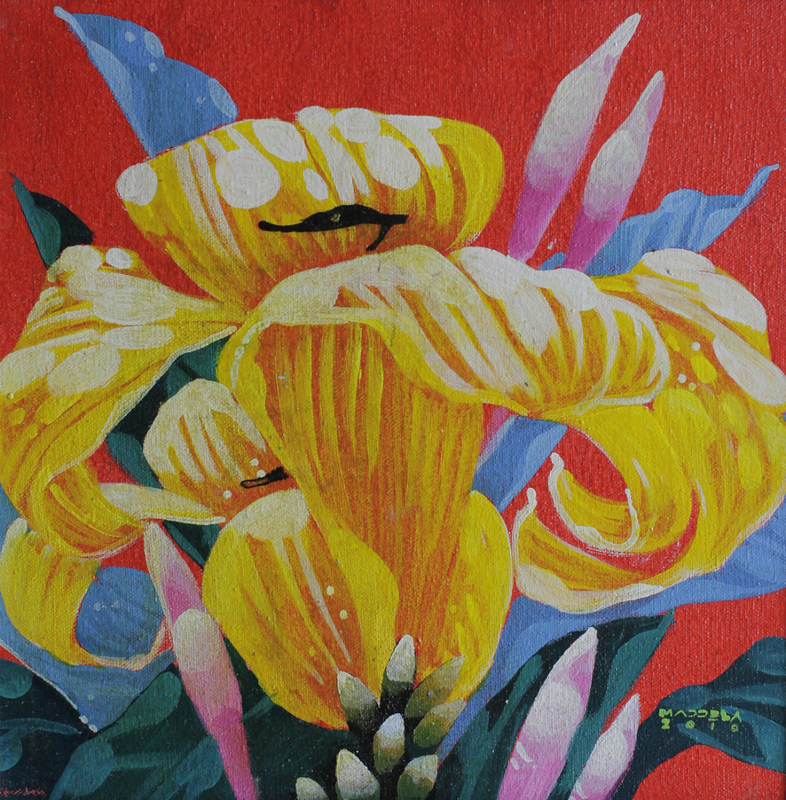 Filipino artist Serafin “Ted” Bernardino Maddela was a soft-spoken and passionate person who lived simply. He was a disciplined painter who worked with acrylics, oils and pastels; and was largely self-taught. The beautiful paintings Ted Maddela created will always be with us. He possessed an amazing and intuitive ability to perceive and understand his subjects of nature and still life. He created elaborate artworks with careful observation, patience, and artistry. Some of Ted Maddela’s works appear deceptively simple, but they look that way to us because their principles underlie the beauty of nature that we often ignore. The physical harmony of his forms triggers a comparable feeling of synchronization in the viewer. 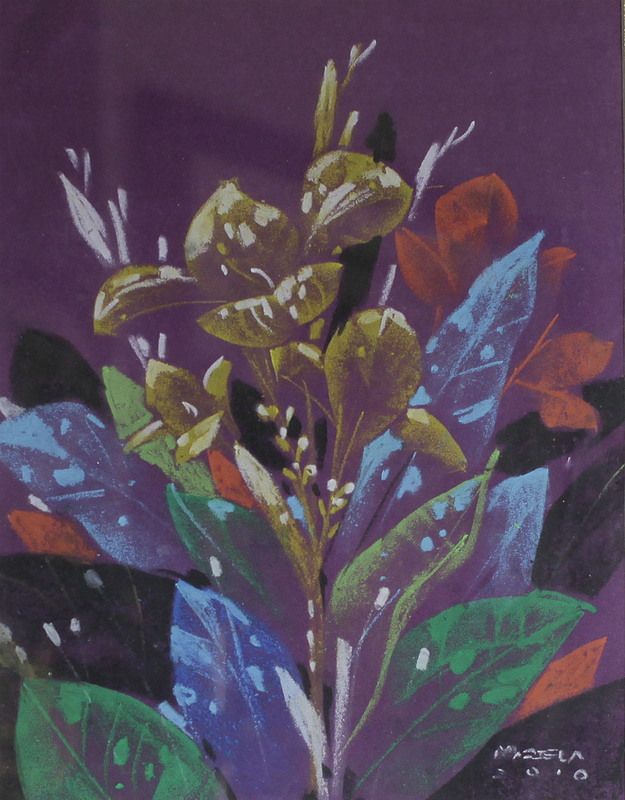 His inspirations were leaves, flowers, trees and landscape which made his surrounding and daily life colourful and wonderful at the same time. Beauty in terms of art refers to the collaboration between lines, color, texture, size, and shape that is pleasing to the senses. As an ideal concept, beauty equates to truth, love, reality, life, and rectitude. Beauty in art is always related to meaning and sense. In this it shows parallel to the beauty of nature, the distinctive of which also applies to beauty in work of art. For example, flowers are beautiful as a flower. Flowers are meaningful as such; it is being created by God. They always have a significant place in the total structure of nature. Flowers have a definite purpose why they were created. Yet we should not define their meaning in a serviceable way. The solid meaningful truth of the flower in itself even if always open to all kinds of relationships with living creations, constitutes its beauty. This is exactly what Ted Maddela has tried to do through his works of art. He wanted people to once again see the beauty of what God has created, which is around us all. It is his aim that people’s hearts will retain that soft spot that we should respect his creation; that we would love and protect this land, and have compassion for all of God’s creatures who dwell therein. Unfortunately Ted passed away in 2011. Rest in Peace Ted Manddela. You were a rising visual artist who left us too soon.